idMirror is an art project that investigates how social networks and emerging mobile technologies have forever changed the perception of human identity. Our research is about how human beings are constructed—how they perceive things in the world, how they interact with the world, and how they are part of the larger whole. The installation consists of two components: the idMirror devices and the idMirror projection. The idMirror devices are tablets embedded in a handle-mirror shell. The idMirror projection is a processing application running on a PC. 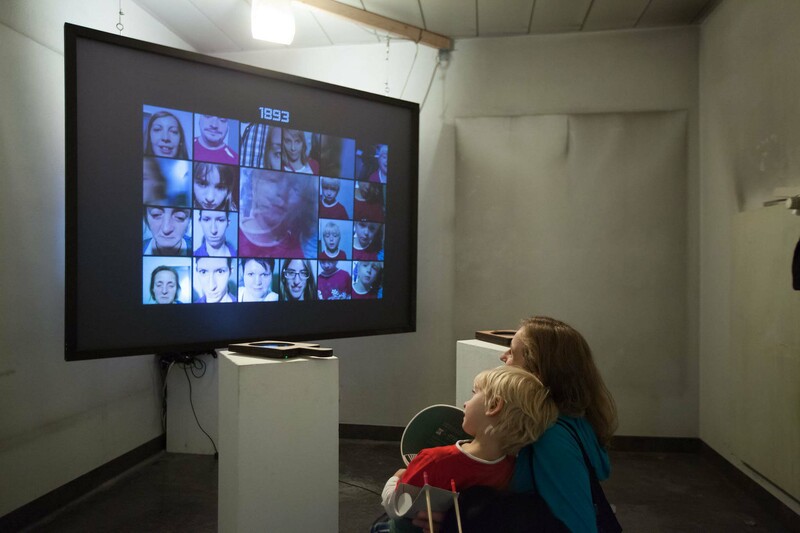 idMirror was shown at Ars Electronica 2015 and CHI 2016. Jazbec, M. and Erich, F. Investigating human identity using the idMirror interactive installation. Proc. of the 34th Annual ACM Conference on Human Factors in Computer Systems. ACM New York, 2016.
idMirror questions how identity is perceived in the age of social media and mobile devices.